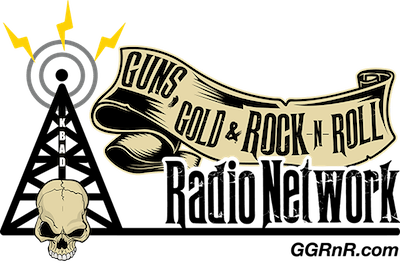 Badlands Pawn will debut the “Gold, Guns And Rock & Roll Network” on 94.5 KBAD-FM Sioux Falls, SD on Thursday, November 26 at 9:00am. The station will be located inside the Badlands Pawn Shop that will also open that day as a tourist attraction near the intersections of Interstates 29 and 90 in Sioux Falls. The complex will include the pawn shop, indoor shooting range, concert space, ticket broker, foundry, tattoo shop and KBAD-FM. Crash, formerly of Townsquare Media’s “B102.7” KYBB Sioux Falls will serve as PD/Morning co-host with Taylor. The rest of the station’s lineup will include Ron Keel in middays, The Rev in afternoons, Cade in nights, and “The Sheriff Vic” and “Deputy Denise” overnights. KBAD-FM is going out of its way to promote itself as the only station in the state of South Dakota to be live 24 hours a day. Badlands Pawn owner Chuck Brennan purchased what was The University of Sioux Falls’ KCFS for $1.5 million this spring. It has since converted the station’s license to Commercial and is in the process of upgrading the signal from a Class A to C3. The group has indicated in the past in intends to distribute the KBAD-FM programming to stations across the midwest. Ron Keel is the same Ron Keel who was the lead singer for 80’s hard rock band ‘Keel’. The group released a couple of decent albums on A&M Records produced by gene $immons from Kiss. I hope that KBAD-FM streams online because I think I might like this new station.